The Grand Fir (abies grandis) is one of the tallest firs. It grows from British Columbia inland to Montana and south into northern California. 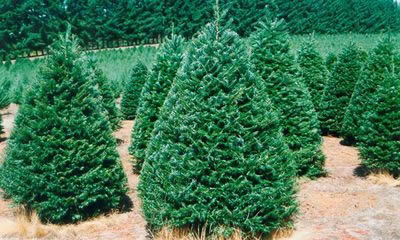 The Grand Fir Christmas tree produces a beautiful, thick foliaged and is known for its strong fragrance. The undersides of the branches are silver, presenting a festive tree for decoration. Another traditional tree, the Grand Fir variety is gaining in popularity. Having a clean profile and durable character, this species is appealing to families appreciating simpler times. Available in sizes from 5 feet (table top) to 10 feet.